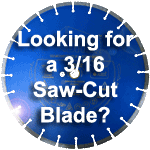 Works best with 3/16" saw-cut blade or wider ¼” blade width. Learn about air pockets and other issues caused by 1/8” grooves. Learn about the dangers of using a loop that is too small to adequately protect the driveway. Use a loop sealant NOT A CRACK FILLER to seal the groove. Use a “V-Cut” for the yoke to simplify your installation. Learn more here! Align loop over saw-cut groove before insertion into the groove will prevent having to pull up and realign a “tight-fitting” loop. Sprinkling sand over the sealant will create a barrier between the sealant and car ties and allow you to open the lane quicker. We have a complete article about installation tips and tricks for saw-cut loops here. Used for saw-cut installations where a 3/16” or larger groove is cut into the concrete or asphalt and the wire is stuffed and sealed (using loop sealant) into the surface. 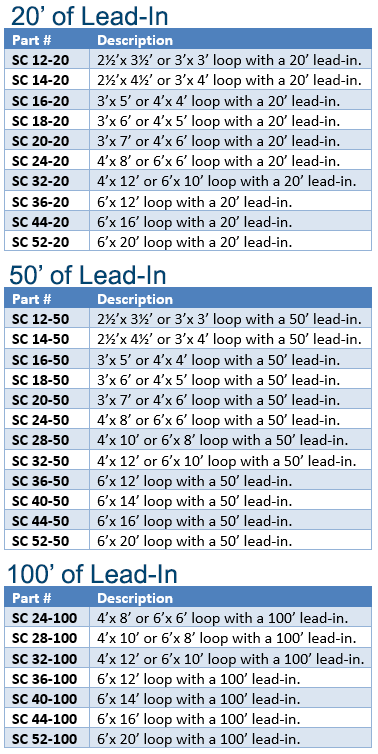 Learn how BD Loops Saw-Cut Loops are designed to save installers up to 45 minutes in installation time per loop. Our saw-cut loops have a custom durable polyethylene outer jacket that protects nylon coated polyethylene insulated 16AWG stranded wire. BD Loops Saw-Cut Loops have a built in wing shaped backer-rod that causes the loop to fit snugly in a 3/16” saw-cut groove. Our unique wire design prevents the installer from having to install backer-rod and creates a seal at the bottom of the groove, allowing the installer to apply sealant to a flat surface and resulting in at least a 30% savings in loop sealant to seal the groove vs. hand wrapped wires in a ¼” wide groove. The entire loop including the lead-in fits within a 3/16” saw-cut groove preventing wasted time spent double saw-cutting or doubling blades to cut the home run lead-in. Do I have to cut a perfect sized pattern to use your loop? Not at all! As long as you don’t make the saw pattern larger than the loop size (you can never make a preformed loop any larger) our loop will fit every time. 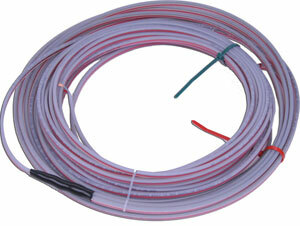 We designed our Saw-Cut loops to be able to take up excess loop in the lead-in run, which makes the loop smaller. This is accomplished by laying the loop parallel in the lead-in run up to 2ft (which shortens the overall perimeter of the loop by up to 4ft) We’ve actually written an in-depth article on methods to make preformed Saw-Cut Loops fit every time.